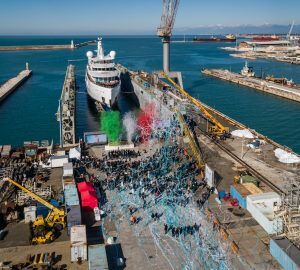 The 108m luxury superyacht FB275 was launched on March 28 in Livorno, Italy. 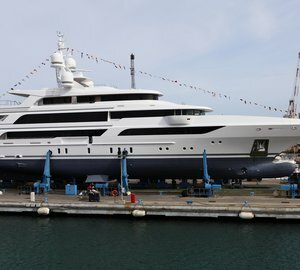 Built by Benetti and designed by RWD, FB275 features a beam of 14.5m and a draft of 4.4m. 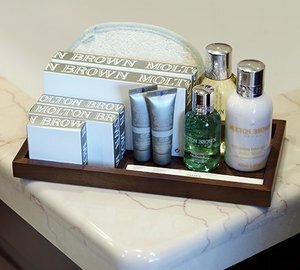 Her interior was created by Benetti’s in-house team and boasts modern design with Italian flair. The exterior living spaces are spread across five decks making up more than 1,000 sqm. The observation deck is ideal for relaxing and taking in amazing views of the surroundings, while the bridge deck is the perfect place for sunbathing on vast sunpads, and relaxing at night watching the stars around the 1.5m firepit. The dedicated owner’s deck boats dining and seating areas in total privacy, while the main deck hosts a massive dining table and vast seating area for large groups, and a heated swimming pool for relaxation and recreation. On the lower deck, the tender garage has a 10m tender and enough space for eight maxi jet skis. Five cranes and two scissor-type lifts are designed to lift tenders that weight up to 15 tonnes, while the 1,500 litres refuelling station is designed to keep all water toys going. Among Benetti FB275’s special features, there is a cinema theatre, a gymnasium with sauna and a drop-down balcony for the closer-to-the-sea experience. Powered by two MTU diesel engines 2,800 kW each, motor yacht FB275 can reach a top speed of 18.5 knots. FB275 has a range of 6,500nm at 14 knots, thanks to her tank capacity of 345,000 litres. 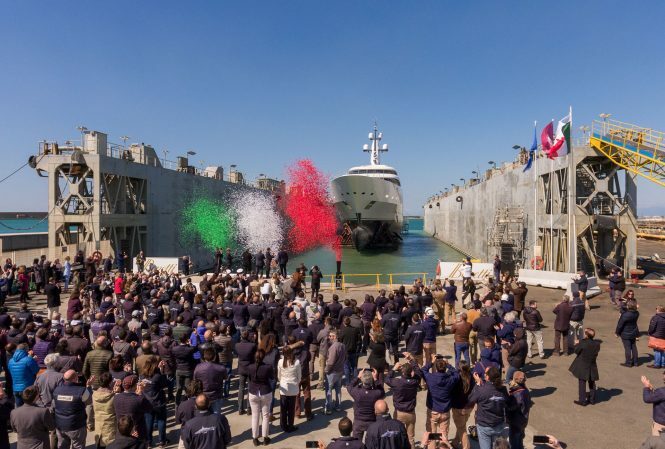 In the past few months, the yacht’s builder Benetti has already launched two 100m+ superyachts FB277 and FB272. To date, it is unknown whether this superyacht will be available for private yacht charters. If you would like to find out more about chartering a Benetti superyacht, please get in touch with the professional brokers at CharterWorld. 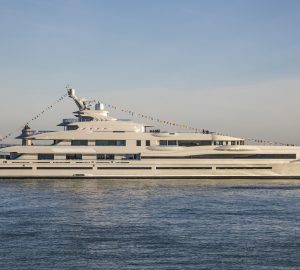 Please contact CharterWorld - the luxury yacht charter specialist - for more on superyacht news item "Benetti 108m Superyacht FB275 hits water in Italy".